I want to (and do) partner and collaborate with brands that are aspirational; that represent an elevated way of living, because this is after all what I myself am aiming for through fashion, beauty, interiors and travel, it’s also the premise behind this blog and it is what I promote on my site and social media networks. After all we live one life, so why not make it the very best we can? It’s also fundamentally why I moved to Paris, because I was in search of a better and more beautiful way of living. But it’s no secret that the fashion industry is one of the biggest polluters on the planet. Seeking this better living and surrounding myself with aesthetically pleasing things, and thus promoting them, can come with a hefty price tag. And I’m not talking monetary. While it won’t dictate every decision I make, I do want to make more conscious, better buying choices - buying better quality, longer lasting and therefore often more luxurious, even if they are at times double the price. (But they also don’t have to be.) In the hope that I will indeed cherish them longer. I also want to buy from brands that are taking responsibility for their contribution to the industry and the planet. Yes I will still sometimes buy fast fashion, because I love clothes, but more and more I want to invest my money in pieces that last and also companies working towards a better future: those taking responsibility for what they produce and how we consume. It’s these small steps that will inevitably make a big impact. 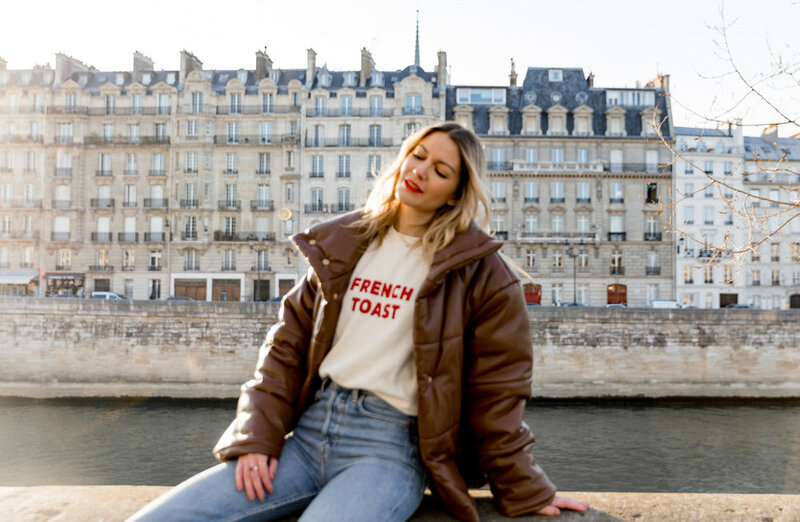 I am therefore incredibly excited and honoured to be partnering with Parisian born (and the first online) brand, Sézane to help spread the word about their charity initiative. 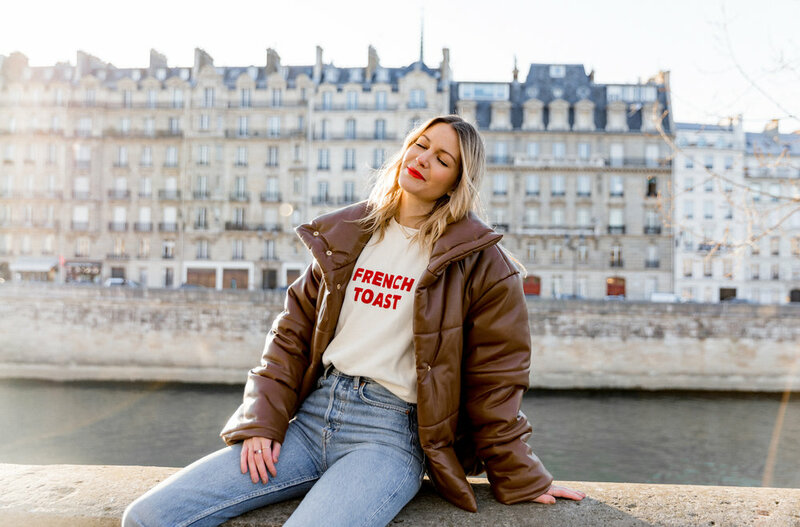 Last year, Sézane created a philanthropic programme aptly entitled Demain (meaning tomorrow): whereby each month, on the 21st, Sézane releases a new product. All sales from this and previous items go to Demain and on the same day, 10% of all the proceeds from both Sézane and the men’s collection, October Editions, will go to charity. Last year they raised more than 1 million Euros for La Voix de L’Enfant (The Child’s Voice), through the Demain initiative. This year, the brand has partnered with two new organisations, Pencils of Promises, which creates education opportunities in developing worlds and Sport dans la Ville (Sport in the City). All charities that are building brighter futures for children. Something that I personally would like to be more involved in. “2019 will see this company become more engagée (committed) than ever before. Committed to becoming the responsible and sustainable brand it set out to be – a brand that places action over words, substance over form. 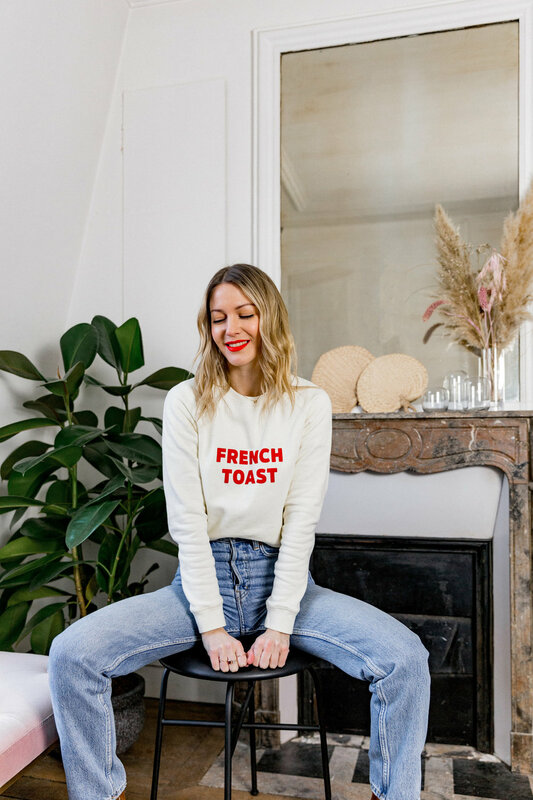 With our impact on the planet and people guiding our choices, without misinformation, exaggeration or pretence.” Morgane Sézalory (Founder of Sézane). It is a brand I have long admired, not only for its collections and homewares, but also for its ethics and how it operates as a business. Sézane also demonstrates that you don’t have a to sell items at a higher price tag to be more responsible. I’m hoping that they will pave the way for more brands to follow suit. 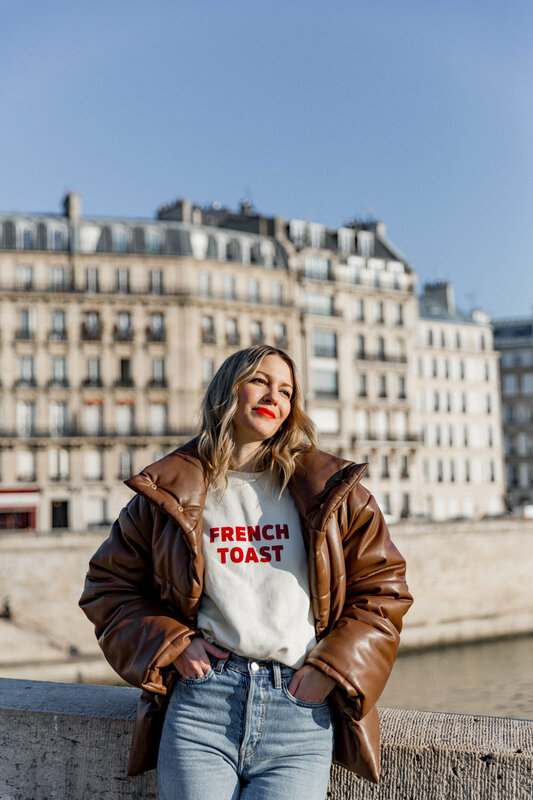 Last March they also opened their charity boutique in Paris - where they sell past collections, items left over from shoots and display, and where they collect and recycle clothes, receive donations and support socially inclusive workshops. All proceeds are of donated to Demain. 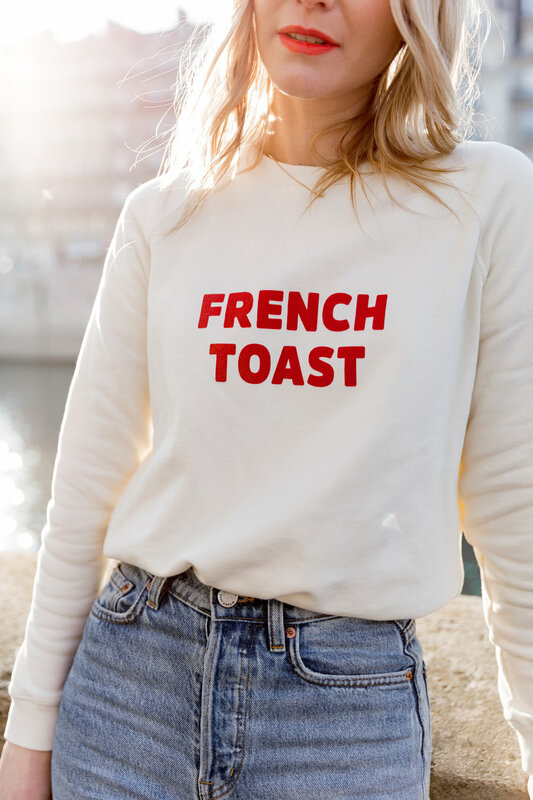 I’m wearing the newly launched French Toast sweatshirt, the newest addition to the Demain collection, which paired with a slick of red lipstick and high-waisted jeans, hits the perfect note of Parisian comfy chic that you’ll want to be sporting on a daily basis. 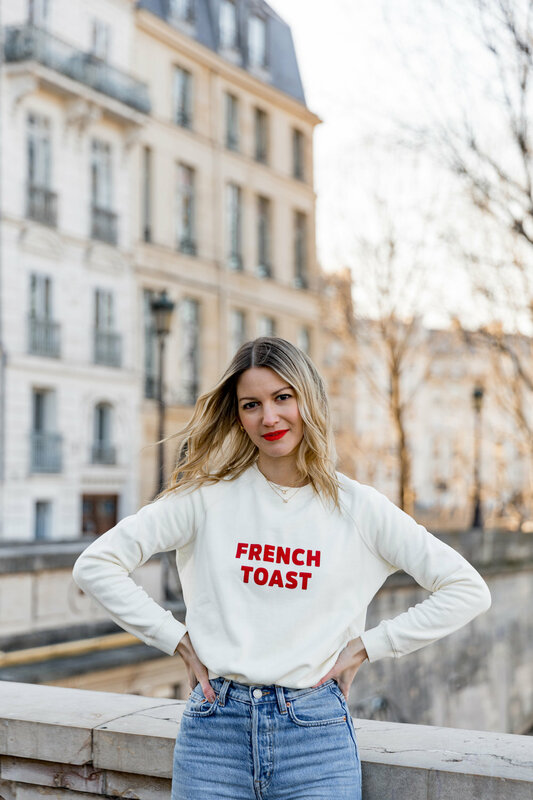 I’m wearing the newly launched French Toast sweatshirt by Sézane. *Created in collaboration with Sézane. WHAT TO READ, LISTEN TO AND WATCH TO STAY INSPIRED IN 2019!